Nights are getting longer. Cold mornings are setting in. We have sacrificed slave upon slave to the sun god but to no avail, because Autumn is swaggering our way, swinging a big bag of pumpkins and dry leaves. The cold is coming and it’s time to drink porter. I’ve always held a soft spot for the beers supermarkets contract out to relatively small breweries. They’re always a middle ground price-wise, and often a middle ground in terms of quality, between the heavy hitters of the craftosphere and the Desperation Beers that only become palatable when the bank balance hits the minuses. 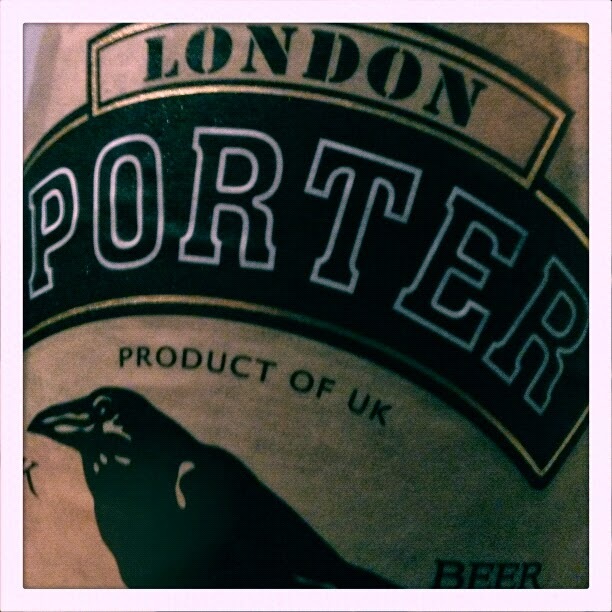 Plus Sainsbury’s Taste the Difference London Porter has a bird on the label, and when you’re dating a lady who is obsessed with them you start buying bird things almost subconsciously. On cracking the lid of this purple-necked bird beer there’s a threatening and unsettling whiff of citrus, a spine-chilling suggestion that maybe someone has Got Porter Wrong, but this phantasmal smell quickly dissolves and with a sigh of relief an aroma of roasted instant coffee and chocolate appears and you can put your gun away. The pour from the chilled 500ml bottle is the guts of a Mars Bar liquified, giving rise to a body as black as amnesia with the tiniest of thin, bubbly heads and a surprising level of carbonation. It looks dangerously Coca-Colaish. The medium-rich, slightly smokey nose is a pervasive scent of chocolate, coffee and damp timber. There’s half-remembered dead relative pipesmoke in there too, bubbling under the clouds of cocoa. The first bite is granulated coffee slathered in molasses, and the carbonation rides roughshod over the taste; fizzy flares confusing perception of the flavours. As the bubbles die on the taste sensors a more textured chocolate flavour is revealed and with bigger gulps a roiling richness plays on the tongue; notes of vanilla and the charred-black tissue of a well-done slab of red meat. Half way through the glass the taste takes on an increased bitterness, jolting at first with the palate but then settling in. A token but still present sourness shows its head in the aftertaste. There is a sensation of somewhere between pre-smoking ban dank of a careworn working men’s club and the humidoric decadence of a stately smoking room. There is dark wood and truffles, but also mysterious stains left by a three-legged dog. This is a dark, meaty beer; a bloodmouthed drink with no hint of playful fruit to be detected. The sweet end of the taste is held up by pillars of marzipan and golden syrup as any intruders from the orchard and arboretum stay well clear. I’m almost positive the initial citrus scent was some kind of trick played on me by the industrial-strength carbonation, which sticks around until the very end, very much an unwelcome guest. As the porter’s time runs out a burgeoning scent of chocolate and Christmas cake fills the gap in the glass where once there was beer. As this aroma reaches its pinnacle the taste thins out in equal measure, with the final mouthful being a parching taste of parchment; the dryness and bitterness the final stand of the beer after the chocolate and sucrose tastes have fled. 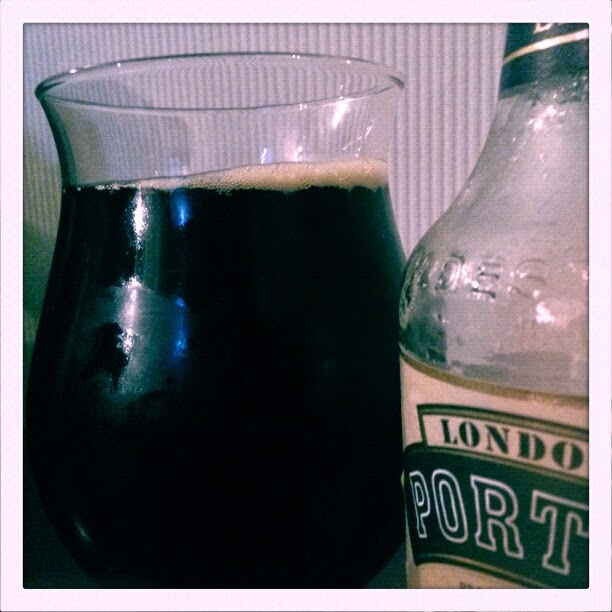 London Porter is a quite sturdy beer. The taste seems to corrode and collapse towards the end of every glass but this at least gives it a few more points on the sessionability chart; it’s a thick , fulsome drink that isn’t a chore at the end. Matched up with a gran antipasto (or a geet big meat platter if we aren’t standing on ceremony) London Porter does the job with aplomb. This reporter is setting some bottles aside for Christmas, to see just how poisonously rich its combination with Christmas cake would be. It’s a drink heavy with carbonation and there are better porters in the world. Whether there are better porters in the world retailing for £1.90 a bottle is a matter for men with more time on their hands than I.